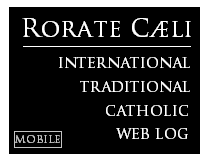 RORATE CÆLI: Synod: In interview, Kasper says he won - in video, Pell is not so sure. We report, Francis decides. Synod: In interview, Kasper says he won - in video, Pell is not so sure. We report, Francis decides. “I’m satisfied and happy with the work of the Synod. The final report (approved by a two-thirds majority) is a good text. Now it’s up to the Pope to make a decision. I hope he issues a document which highlights the joy of Christian marriage.” Cardinal Kasper, leader of the progressive front, draws up a balance of the Synod on the Family which has just concluded. In this interview to ‘IL GIORNALE’ he describes the atmosphere of the Synod’s work and the significance of an opening to the divorced and remarried being admitted to Holy Communion, something he strongly supports. 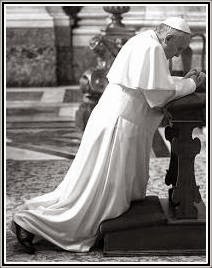 Your Eminence, your line prevailed at the Synod, that is, the possibility of the divorced and remarried being admitted to Communion on a ”case by case” valuation. How would you evaluate the Synod Fathers’ discussions on this theme? What is meant by it’s up to the presbyter to decide case by case? But doesn’t such an opening risk backing divorce? There have been many disturbing elements: ‘the coming out’ of Monsignor Charamsa who declared his homosexuality, the 13 cardinals’ letter who contested the work methods of the Synod, the news diffused about the Pope having a benign brain tumor. Did all of this destabilize the work at the gathering? What can we expect now from the Pope? How long will we have to wait for Francis’ decision?